Punk-reggae fusionist Arianna Forster, AKA Ari Up of the Slits, has died at age 48 of an unspecified “serious” illness, according to her stepfather John Lydon (yes, Johnny Rotten was her stepfather). The all-female, barely-teenaged Slits were, along with the Clash (whose Joe Strummer, it is said, taught Ari how to play guitar), among the first punk acts to inject their sound with a heavy dose of reggae flavor. 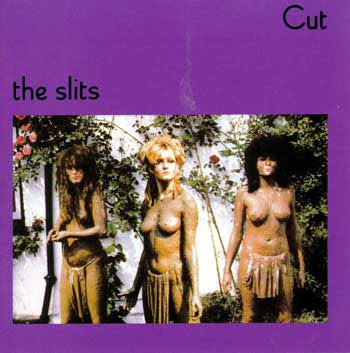 Like any worthwhile punk band, they flamed out just as quickly as they arrived, releasing just two albums—1979’s Cut (its notorious cover art depicting the mostly underaged band mostly naked, but for some mud) and 1981’s Return of the Giant Slits—before disbanding. Up, however, immersed herself deeper into Jamaican culture and reggae music following the legendary group’s demise, recording with dub producer Adrian Sherwood as the New Age Steppers in the ’80s, growing epicly long dreads and, eventually, moving to the Jamaican countryside and, later, Kingston. (She later split her time in Flatbush, Brooklyn as well). In yard, Up rolled with Stone Love, and adopted the nickname “Madussa,” she told the Montreal Mirror, after Jamaicans began derisively calling her Medusa for her unusual look. In 2005, Up released the heavily reggae-flavored solo album More Dread Dan Dead with a backing band that included Ira Heaps, owner of New York’s Jammyland record store. The following year, she reformed the Slits, and the group had been recording and touring intermittently for the last several years. In 2008, she appeared on Lee Perry’s album, Repentance.